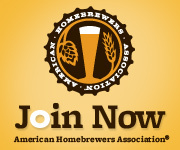 You know you’re a homebrewer when you have more refrigerators than people living in your house. As of the time of this post, we have a combination of 8 refrigerators and freezers of different sizes to go along with 5 human habitants. It all depends on what materials, tools and fridge cost is, but I would peg the average cost of this project at about $200 (including a second hand fridge). I scored a fridge on Craigslist for $100. The value for the fridge size I got is typically between $100-150. 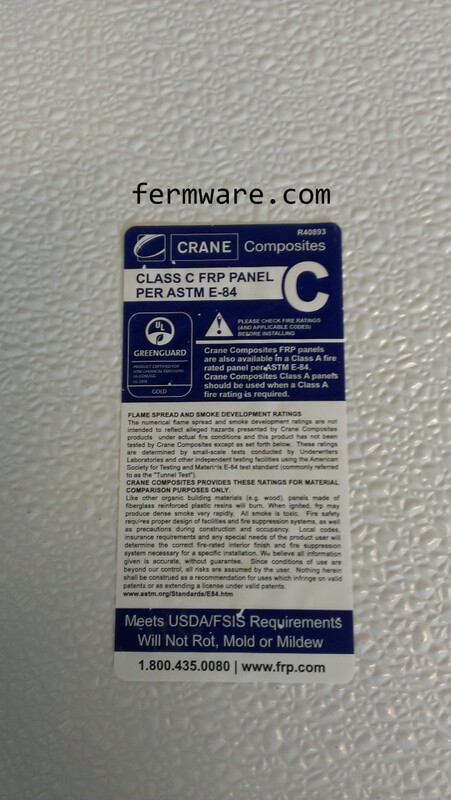 If you are using a new-ish refrigerator, just keep in mind that we’ll be permanently be modifying it, so if there is any existing warranty, it will most certainly be voided by this project. My initial pipe dream goal was to pull the guts from a cheap fridge and then fit them into a custom built cabinet meant to house many fermentation buckets, corny’s and anything you want to keep cool. Time and the fact that I realized I could do it another way, convinced me to just find an ideal fridge on Craigslist and tear out the divider between the freezer and the fridge. I also modified the doors to be one large full length door. As this project sits currently, I can fit seven standard fermentation buckets in there at the same time, or the bottom shelf area is tall enough for a full size keg, corny’s and my large-ish 20# CO2 bottle with the regulator attached. In this multi-part post, I’ll show you how my build went. I also have not yet advanced the project to my ultimate goal of two separate temperature zones and some sort of BrewPi/remotely monitored and controlled setup. For now, it’s just a single chamber with one of my homebuilt Arduino based temperature controllers. I would recommend that any serious DIY’er has every single one of the tools recommended for this project. They are some of my most used tools. If you don’t have a pair already, go ahead and get a set of three. I was being cheap and only got one, but they some in sets of three that are optimized for cutting on different sides of material (left, right and center). They are extremely useful. 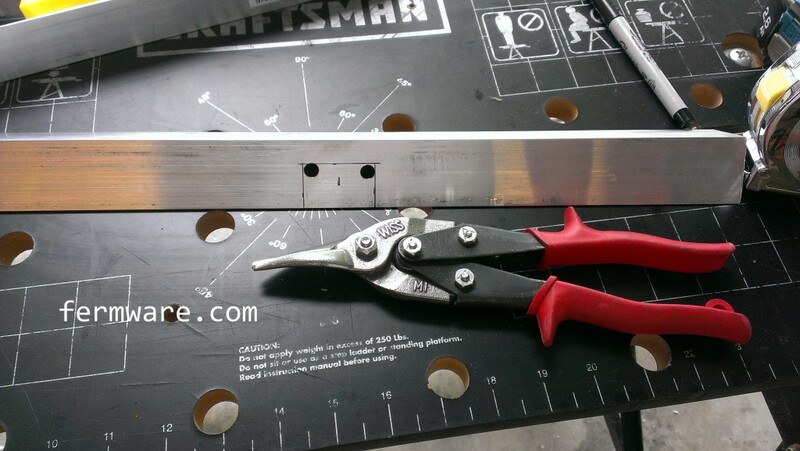 In this project you’ll use them to cut the FRP board and the aluminum. They are made for cutting sheet metal, but I end up finding many uses for them. I actually got this many years ago during a summer job prepping refrigerators for delivery. I can’t tell you how many times I’ve found a use for this little tool. This is a must in any handymans arsonal. Again another worthwhile purchase that you’ll use over and over. 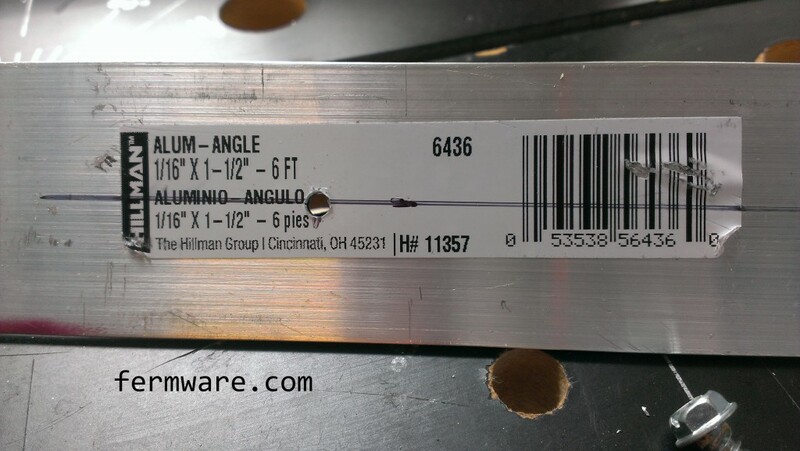 In this project they are used to clean up the cuts in the aluminum angle. Also called “dog dishes” or “dog bowls”. For some reason, I hadn’t ever seen these until I worked in racing. I’ve got several in different shapes and sizes. 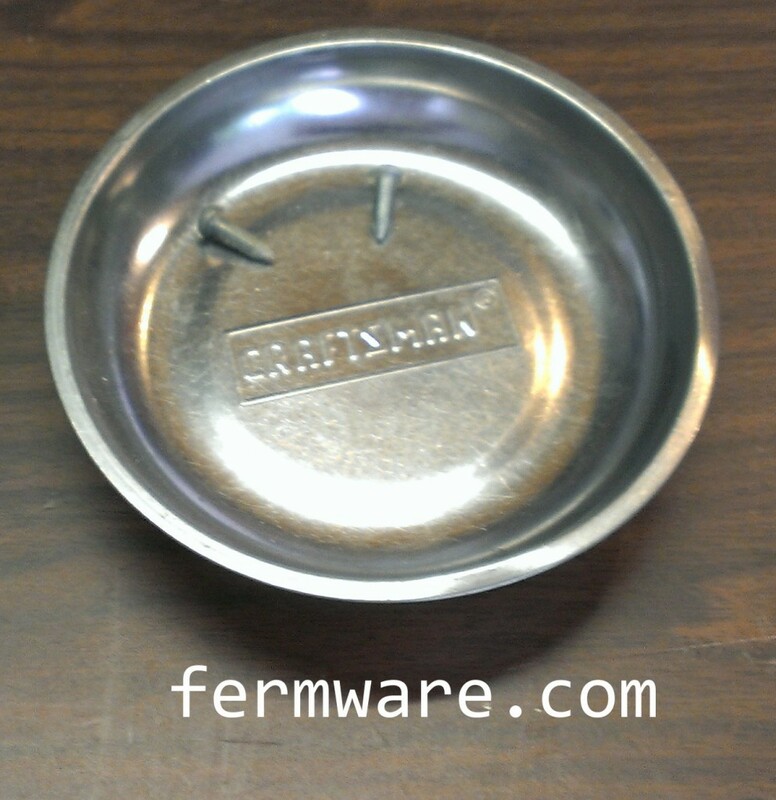 They are durable metal bowls with a strong padded magnet on the bottom. The magnet serves two purposes. One, to keep steel fasteners contained in the bowl. Two, to serve as an attachment method to metal work surfaces. I get lots of use out of mine. If Ralphie’s Dad had one of these when changing the tire in A Christmas Story, he never would have gotten in trouble for saying “Ohhhhhh, Fuuuuddddggge!” These have saved me many times from chasing screws all over the garage and under shelves. 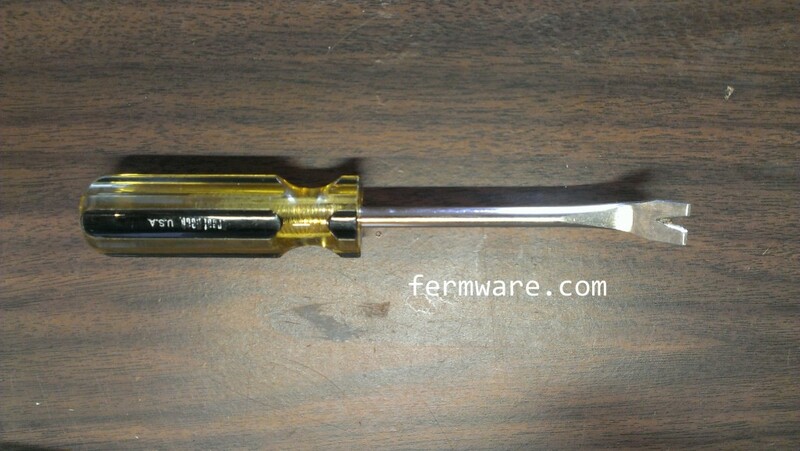 I can’t even remember where I obtained this, but they come in different sizes and have a magnet in the tip to hold on to screws. Why they insist on calling them “nut” setters is beyond me. 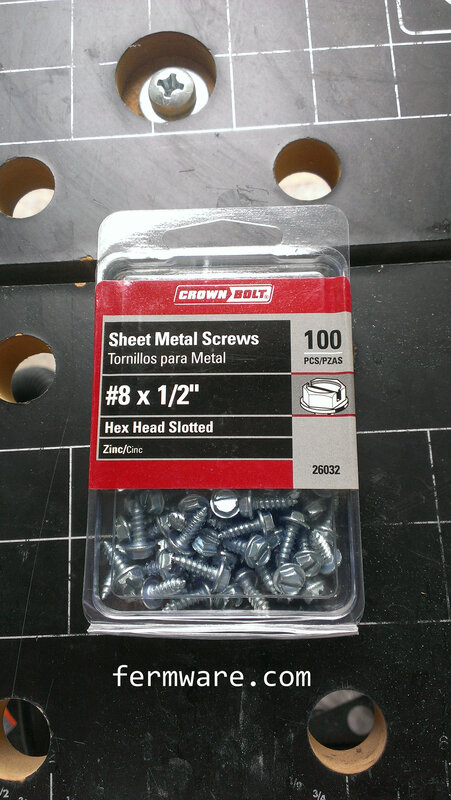 This will be used to drive sheet metal screws into the fridge and most likely will be the hex size for most fasteners in the fridge. If you can find plain plastic sheet, fine. I just chose this because it seemed ideal for this project. It’s easy to clean up and the textured surface has less resistance when sliding my fermenting buckets around in the fridge. It’s just fiberglass and resin, so it won’t mold or mildew. This will be used to replace the inner surface of the doors as well as the covering for the shelf. You don’t have to get the exact size I purchased, but this happened to work out perfectly for my doors. 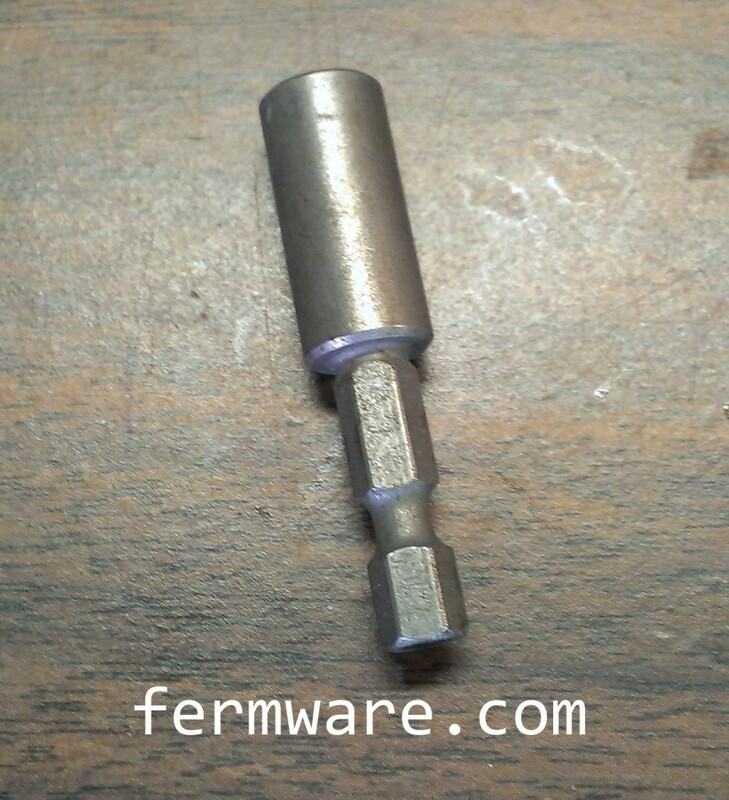 I used this to connect the freezer door to the refrigerator door and make one giant door. These will be used to secure the aluminum angle to the doors to make a one piece door. 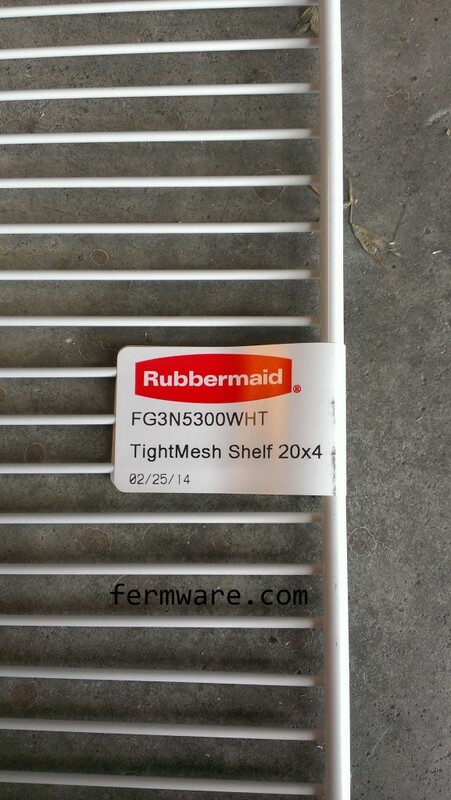 I used this on the previous lagering fridge (now used for cakes). It’s lasted over a year with no signs of rust. They are painted or have a thin rubberized coating, so they shoudn’t rust unless you scratch the covering off or possibly on the ends where you cut it. The piece I used was actually the other half of the full span shelving I used to make said prior lagering fridge. You should have this around your garage anyway. It’s great to remove sharpie from glass or metal. It is a prime (if not sole) component of nail polish remover. It’s not lung or skin friendly, so make sure you wear gloves. 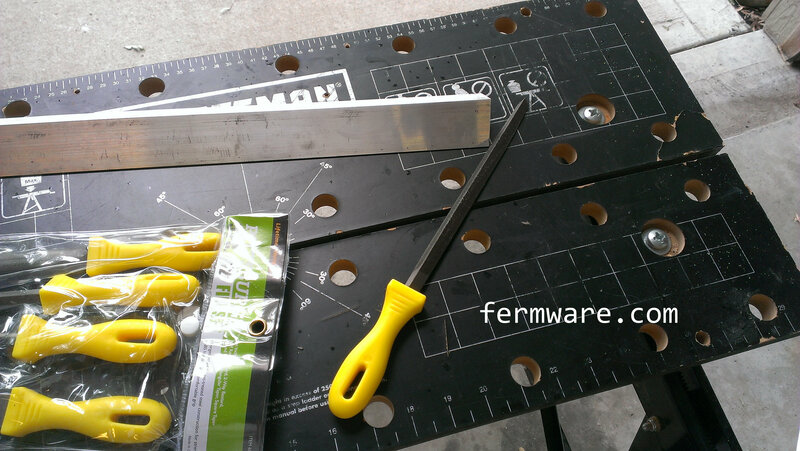 In this project, you’ll use it to remove your sharpie markings from the FRP board where you cut. 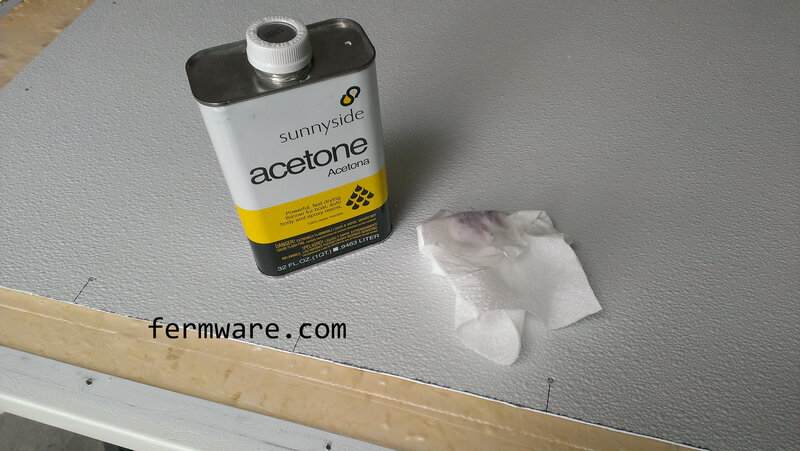 But be forewarned, acetone has a tendency to melt many kinds of plastic, so move quickly. I use these all the time. The link in the title is to the ones I purchase all the time from Harbor Freight. They are a good value and are fairly durable. I prefer the blue gloves, simply because when you do get grease and dirt on your gloves, you can tell and know not to touch anything clean. Use these in this project when cleaning the fridge as well as when you are using the acetone. I also prefer nitrile over latex, because with the latex gloves you are left with hands smelling like balloons. Plus some people have or develop latex allergies. Good stuff! 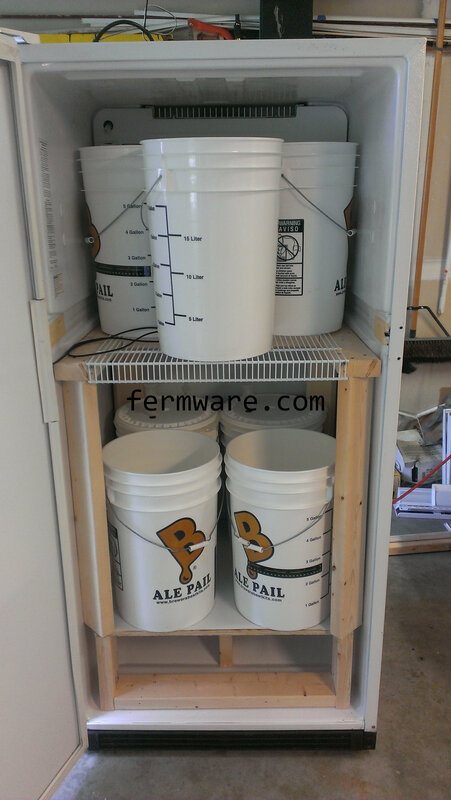 I’ve been looking to do this to both my kegerator and fermenter..both in my garage. Small world as I am in Indy and a fellow Boilermaker as well (I saw the license plate in one of your images! Yes, my wife and I are both proud Boilermakers! If you are going to Winterfest 2015, I’ll be there in either a blue or green fermware.com t-shirt. Sounds great…I will keep an eye out! Good article! Thanks for sharing. This should be my next DIY projects. I have been constructing a home locker using the sheet metal I got from Bayview Metals from Ajax. It is now into its finishing stages, but some how that effort hasn’t been entirely satisfactory. 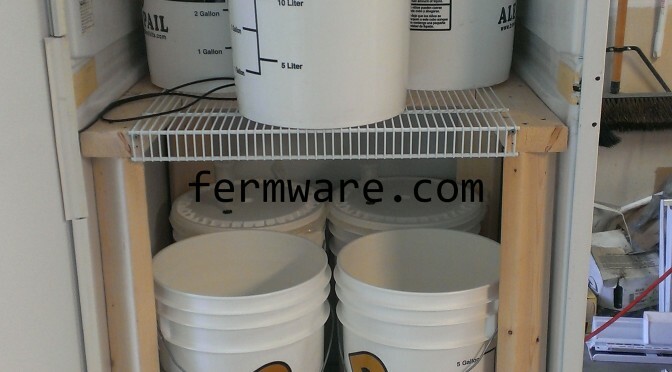 fermentation cabinet from a refrigerator seems to be a perfect challenging project for me. Excellent! I’d love to see how your project turns out. Let me know if you have any questions during your build.